Hamilton changed the world through writing. 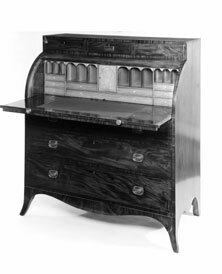 This elegant desk, which he used in his New York house from about 1800, suggests how the work of his writing followed him home. © 2005 The New-York Historical Society. All Rights Reserved.